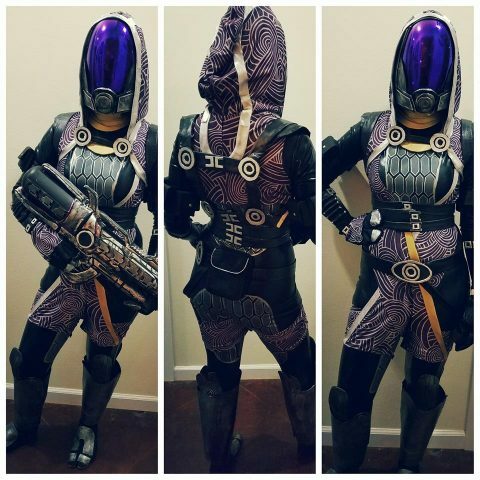 Mass Effect Tali’Zorah Costume with a Hand-Painted Suit « Adafruit Industries – Makers, hackers, artists, designers and engineers! I couldn’t find a fabric with the right pattern so I have been painting the pattern on by hand. First I hand cut a stencil and then add the fabric paint layers. 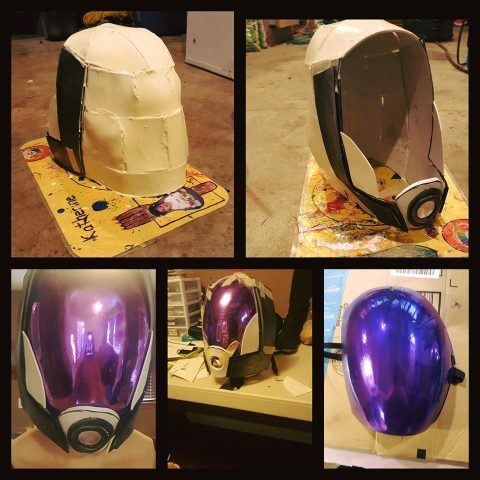 It’s a slow process but it is looking great! 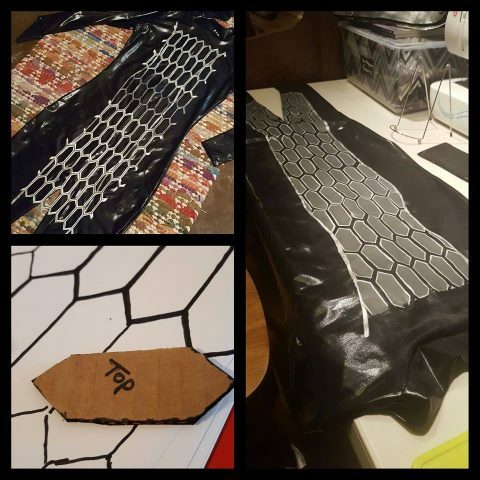 The photo immediately below shows some of the work that went into painting the intricate pattern onto the body suit. Find more making of photos at Facebook.